On yesterday’s episode of Burrito Justice Radio, we were talking about burritos and burrito history and blogging and stuff, and I brought up how one of my first blog posts ever (back in 2007) was about how Taqueria Cancun had just gotten carnitas — finally! 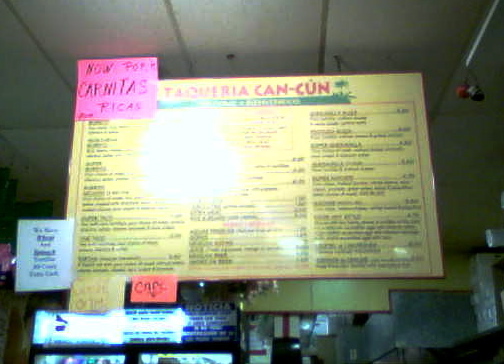 I mean, can you imagine a world in which carnitas was not a meat option at Taqueria Cancun??? IT HAPPENED. I don’t know who I thought was going to answer my questions, seeing as how this blog had zero readers back then. Maybe now I can finally get some closure? Anyone? The proprietors thought carnitas were evil, but after being in San Francisco for a requisite interval, they succumbed to the forces and fire roasted their children.